HOT ROD monogram ford A 32 1:8. El estado es Usado. 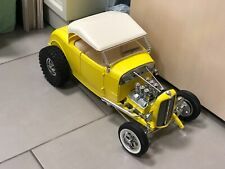 La maqueta es la original de los años 60 con modificaciones en las ruedas traseras. El montaje de la propia maqueta, no es perfecta. Ford Orion 1.8TD Ghia Schabak. Ford Orion 1.8TD Ghia de Schabak modificado como coche de movilidad del recinto de Expo´92. Esta es una unidad de las 10 que se han realizado. Cuenta con caja original. Das Interieur-Styling wurde mit liebevoller Sorgfalt und originalgetreu nachgebildet. Die Vorderräder drehen das Lenkrad. DerFord Shelby Mustang ist eine Hochleistungsvariante des Ford Mustang, der von 1965 bis 1968 von Shelby gebaut wurde. Matchbox SuperKings K-18 Ford LTS Tractor & Articulated Trailer TEXACO - EXCELLENT condition. Lorry Tractor is in good condition. marks and rubbing evident. (see photos). Bodywork of Trailer is in very good condition, although wheels of the small support axle are missing. (see photo 8). Originale Gummireifen. von Deagostini. detailgetreu nachgebautes Modell. Natürlich kann man das Modell auch abholen. Shelby Mustang GT - 500. mit dem mächtigen 428 Motor aus dem Jahr 1967. EACH MODEL IS WRAPPED IN BUBBLE WRAP. Each model is wrapped in bubble wrap. ADD each item TO BASKET and then when you have finished. The more cars you win, the more you save! IMPORTANT NOTICE. Add to Favourites. Bau deinen Ford Mustang Nr. 11 1967 Shelby GT-500 1 :8. 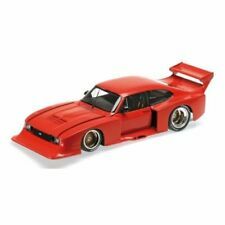 Bau deinen Ford Mustang 1967 ShelbyGT-500™ in einer originalgetreuen Reproduktion, im Maßstab 1:8. Mit seinergroßen Leidenschaft für schnelle Autos. 1/18 Scale Model by ACTION. FAIR - The item will have heavy signs of wear, showing major imperfections. THE MODEL IS IN EXCELLENT CONDITION - PREVIOUSLY BEEN DISPLAYED, SLIGHTLY DUSTY THE BOX IS IN GOOD CONDITION - WORN. Matchbox Super Kings Texaco Articulated Tanker Lorry K-18 Ford LTS Truck 1973. Condition is Used. Dispatched with Royal Mail 2nd Class. YOU ARE BUYING A "HIGHLY ATTRACTIVE & HARD TO FIND" DINKY TOYS BOXED MODEL No.162 FORD ZEPHYER SALOON FINISHED WITH TWO-TONE OF CREAM UPPER BODY & DARK GREEN LOWER BODY, CREAM HUBS AND SMOOTH TYRES, IN ORIGINAL EXCELLENT CONDITION,WITH A PAINT CHIP ON THE FRONT EDGE OF THE BONNET. 1950 Ford E83W Van & Trailer. Matchbox Models of Yesteryear. Issue 1 in the Yesteryear Book 1956 - 2002. Matchbox Collectibles. 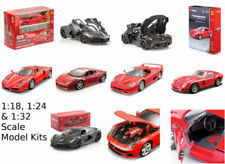 Worldwide £13.95 (Extra models £2.50). Matchbox YFE18 Ford E83W van. Matchbox YFE18 Ford E83W Van,as issue - in THE YESTERYEAR BOOK 1956 to 2000 MILLENNIUM EDITION.No CoA. FORD FKF57. 65 FORD RANCHERO. FORD BRONCO 4X4. CUSTOM FORD BRONCO. 29 FORD PICK UP. 41 FORD PICK UP. (1 Stück Siku Super 1057 00000 Ford Mondeo Ghia 1.8 16V. Farben: blassgelb, innen lichtgrau, Lenkrad lichtgrau. Generation, Typ GBP, Fließheck, Modell 1993-1994), B6. Das Modell ist neuwertig. MATCHBOX SUPERKINGS. K18 FORD LTS TARMAC TIPPER TRUCK DIECAST. played with see pics for condition. Model in good/used condition, unboxed. Fahrzeug : MC-LAREN N. LAUDA 1982 - MCLAREN FORD. - Marke : MC-LAREN. Matchbox Models Of Yesteryear Y18 1918 Atkinson model D steam wagon Bass & Co, Burton on Trent. 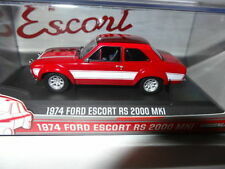 Model in excellent condition see pics. Box - minor crease to back of box. Ltd Edition of 60000. Bau deinen Ford Mustang Nr. 5 1967 Shelby GT-500 1 :8. Bau deinen Ford Mustang 1967 ShelbyGT-500™ in einer originalgetreuen Reproduktion, im Maßstab 1:8. Mit seinergroßen Leidenschaft für schnelle Autos. & PART 94 OF THE MODEL SERIES. YOU WILL RECEIVE THE MAGAZINE PART 94. THERE ARE 100 ISSUES NEEDED TO BUILD THE MODEL. 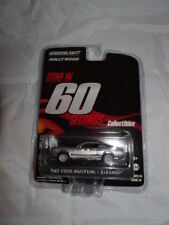 NUEVA HTF MATCHBOX MUNDO JURÁSICO COLECCIÓN LEGACY 93 1/6 FORD EXPLORER #5 NIP! Esto es una necesidad tener tema para el coleccionista de Jurassic Park o Matchbox! ¡Mundo ancho del envío está disponible! Bau deinen Ford Mustang Nr. 12 1967 Shelby GT-500 1 :8. Bau deinen Ford Mustang 1967 ShelbyGT-500™ in einer originalgetreuen Reproduktion, im Maßstab 1:8. Mit seinergroßen Leidenschaft für schnelle Autos. MAKE: HOT WHEELS. MODEL CONDITION: MINT.